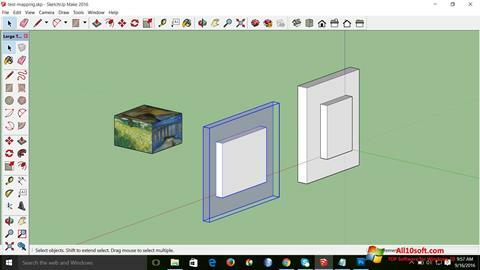 SketchUp Make for Windows 10 can create models of structures, objects, premises in three-dimensional format. For finished elements, you can add changes, extensions, apply additional textures, set sizes. To place the created objects in the network there is a personal service that shows the work to other users and guests. Working tools for drawing or designing help create high-quality professional elements. You can free download SketchUp Make official latest version for Windows 10 in English.